When you’re going to the doctor, better descriptions equal better care, so be prepared. How you describe a health issue to the doctor impacts your health and well-being. This is true for you, your child or another loved one you may be accompanying to the doctor’s office. Changing how I described my son’s issues with breathing and eating resulted in an accurate diagnosis that led to a surgery that changed his life and ours, FOR THE BETTER. He went from a tired, runny-nosed, puffy-eyed baby to an always giggling, adventurous, absolutely lovin’ life toddler. It took me three tries to adequately explain the issue to the pediatrician. Third time’s the charm? It doesn’t have to be. Learn from my mistakes so you can get it right – the first time. As the mom of premature twins, I got used to planning for doctors’ appointments. Lists are good as memory joggers for self-explanatory things like, check mole on right hand. Lists don’t tell the whole story when it comes to more complicated items, especially if you can’t identify the root cause on your own – that is why you are going to the doctor, right? My Benjamin continued to struggle with eating and always seemed to have a cold. I described this to the pediatrician as extremely long feedings with many pauses, coughing and lots of spitting up and a constant runny nose. I left out the description of him taking a deep breath, displaying the cutest puffy cheeks, followed by him taking big gulps of milk that often ended up going down the wrong pipe. The doctor asked if he snored or had apnea and he did snore sometimes but we hadn’t witnessed any instances of apnea. The doctor noted that some snoring with a cold was normal and that Ben was too young to be tested for allergies. He recommended that all caregivers watch Heimlich and CPR training recordings and that we should keep an eye on it. He noted that many preemie babies have underdeveloped esophagus muscles and that was that. Then we started solid foods. The choking got worse and scarier with this. This time at the pediatrician’s office, I described Ben’s continual issues with choking and the purposeful holding of his breath to the point of turning red, mainly during mealtime. I left out the details that while he was holding his breath he was trying to shove as much food as possible into his mouth before he needed to gasp for air again. I also left out how much anxiety my husband and I experienced during said mealtimes. The doctor noted that the spitting up was still likely due to the underdeveloped esophagus muscles. He also noted that some children do hold their breath when they are frustrated or mad. We were told that RED is okay and turning BLUE is bad, and that we should warn caregivers of this so that they didn’t over react and unnecessarily call 911. Learning how to appropriately address the choking and what to watch for with the breath holding was essential (literally to survival) but NOTHING WAS FIXING THE ROOT CAUSE. So, I spent some time reflecting and discussed the issue at length with my mom, who is a nurse. When she asked me what I told the doctor at the last visit I explained about the holding of his breath during eating and the subsequent choking she was like, BINGO! When you use the words holding his breath, the doctor thinks of intentionality. Not a physical issue. She suggested that rather than describing the compensating behaviors that Ben had developed, that I should say he is unable to breath effectively, especially during mealtimes. The doctor made a referral for us to see an ENT. After a scope Ben had surgery to remove his adenoids. Post-op, the doctor told us that his adenoids were HUGE and that it was good they were removed. We saw a change almost immediately. We were quickly introduced to a happier and more rested version of our son and we couldn’t be more grateful that we FINALLY got this right. Now we could all breathe easier (no pun intended). But I can’t help but think that Ben’s issue could have been identified and treated earlier. Or at least it could have saved us some of the stressing about what was wrong. As frustrating as it was to wait, it didn’t take that long to get it right with so many pediatrician appointments. And, for items that you can’t physically see in the doctor’s office, the doc only has your description as the basis for determining a diagnosis or next steps. If you are going to see a specialist for something, you may not get three tries (or that could be costly and leave you suffering for an extended period of time). · Talk through the issue with friend or family member to see if they understand what you are describing. If they are in a medical profession they can help you tease out the issue and better frame it, using word that the doctor will recognize – just avoid self-diagnosis and Dr. Google! Changing how you describe a medical issue can improve your experience, shorten the time to an accurate diagnosis and treatment and basically MAKE YOUR LIFE BETTER. 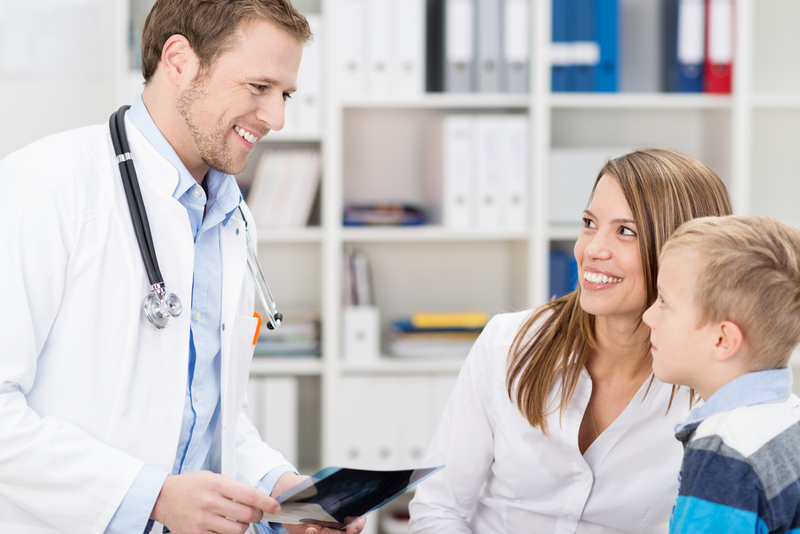 When you’re going to the doctor…better descriptions equal better care, so be prepared. Leslie Michel is the author of BluePineappleBlog.com, providing inspiration and information for working moms. She’s a finance professional by day and mother of twins who is on a mission to make like happier, healthier and more fulfilling. How do I become myself in the workplace again after mental illness?